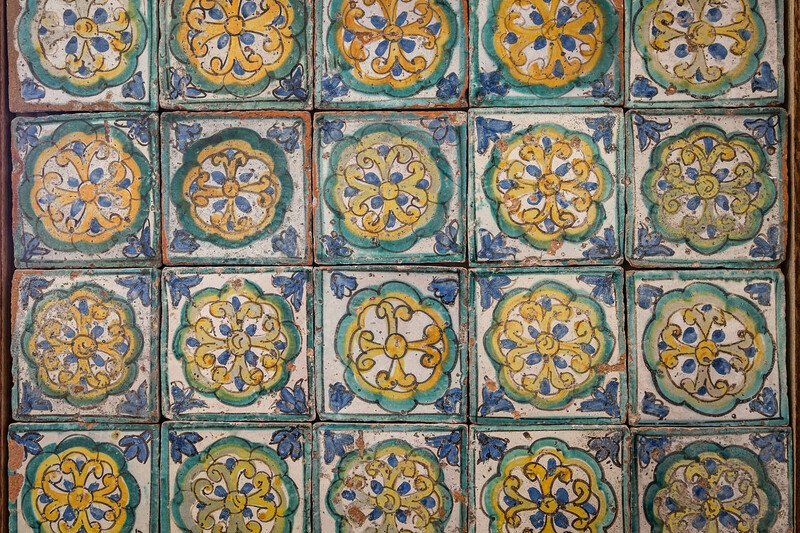 pavimenti antichi, mattonelle d’epoca, affreschi con motivi ottocenteschi e liberty. a due passi dalle principali attrazioni della città. 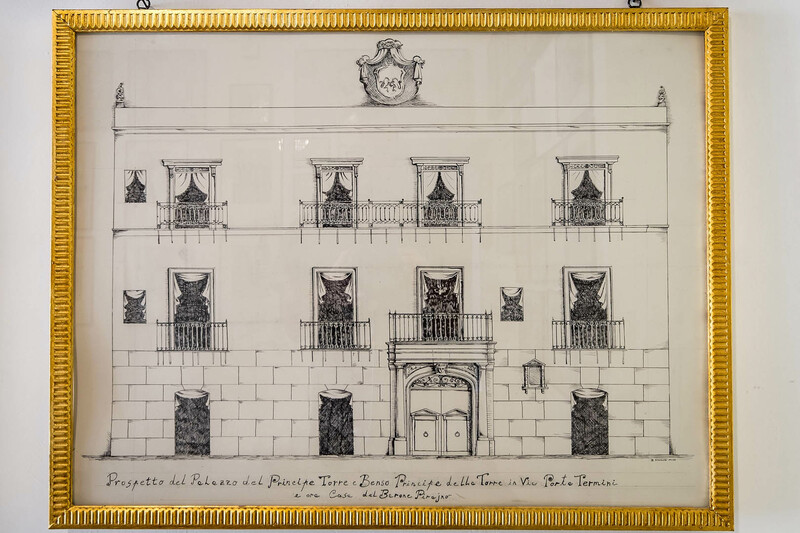 Is named after its nineteenth-century decorations with landscapes and drawings in pure gold. 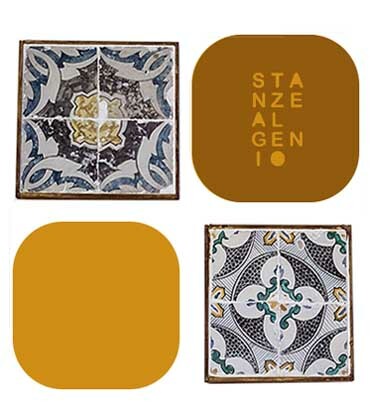 WHY SHOULD YOU STAY AT STANZE AL GENIO? 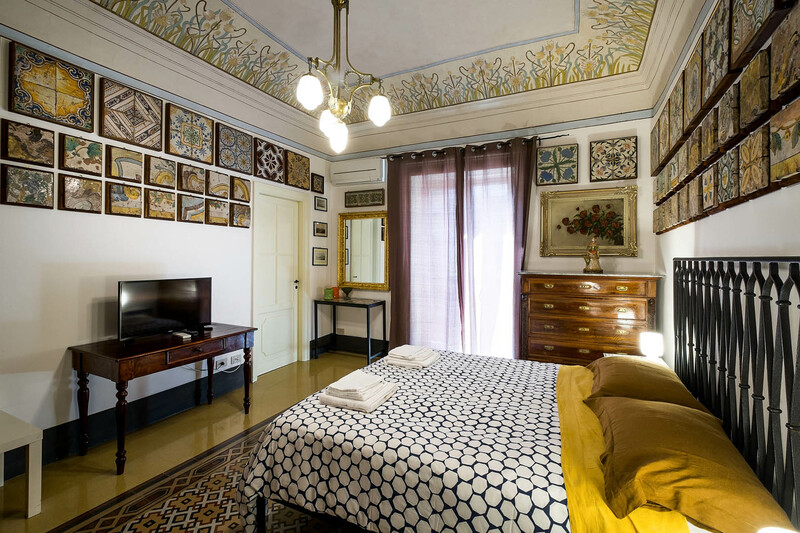 The B&B Stanze al Genio is located in the heart of Palermo, with the main attractions of the city just a few steps away; the bus stops and the train station are within walking distance. 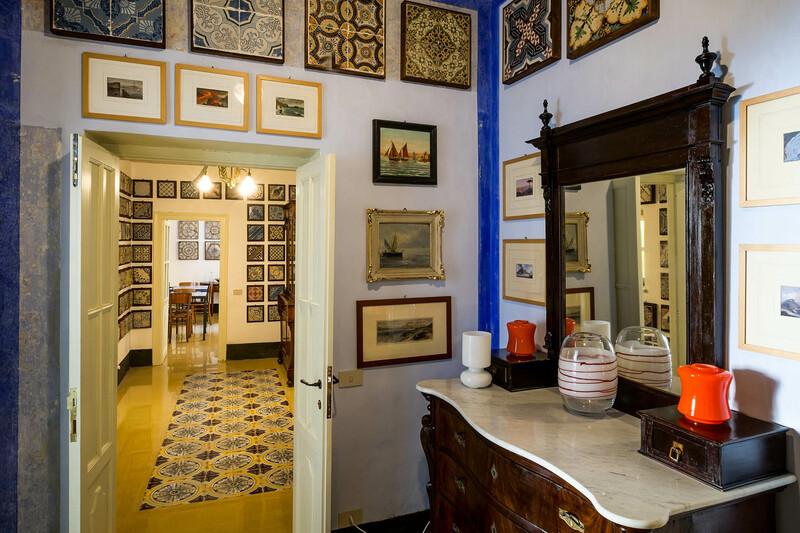 Discover the charm of Palermo’s history and culture, live the excitement of staying in a house-museum, surrounded by art objects and unique collections. 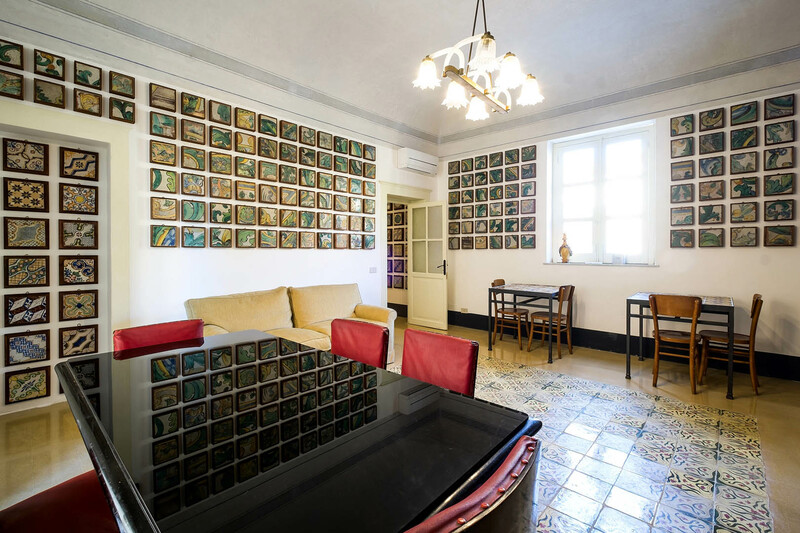 An ideal place for you to stay in a typical Sicilian house, inhabited by Palermitans. 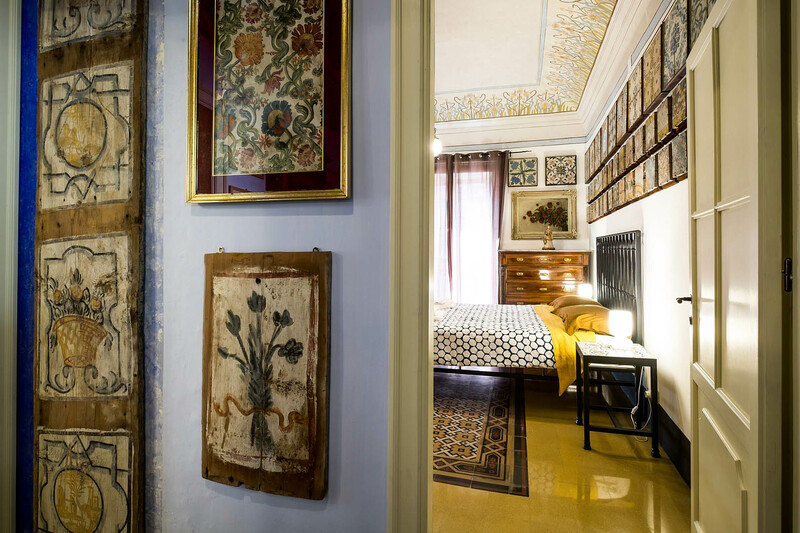 Live for a few days the secular magic of the Kalsa, picturesque neighborhood of the historic centre of Palermo. 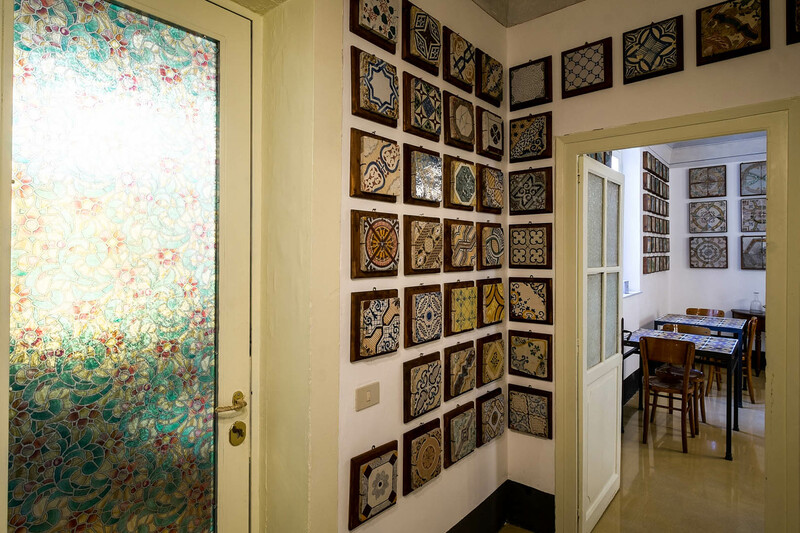 The b&bStanze al GenioResidenze is a gem of a place in the centre of Palermo. 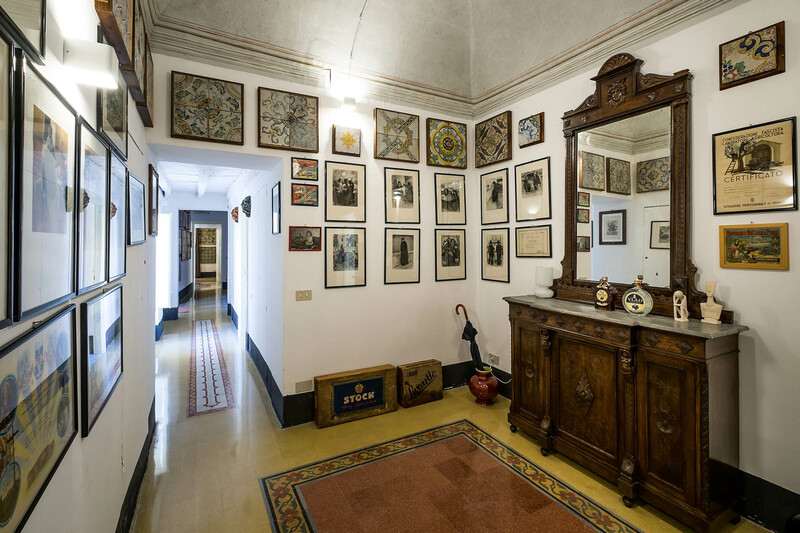 It is located on the second floor of the sixteenth-century Palazzo Torre Pirajno. 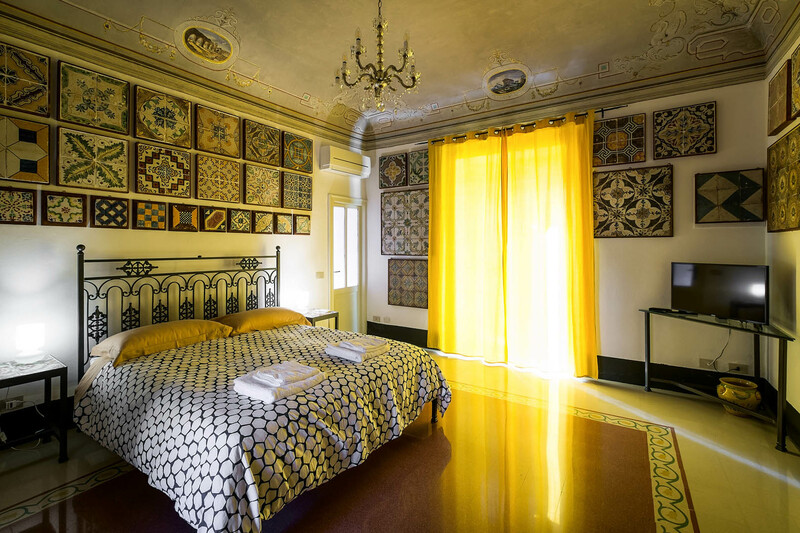 The bed and breakfast has an antique decor with typical Sicilian furniture, antique floors and frescoes with nineteenth-century liberty motifs. 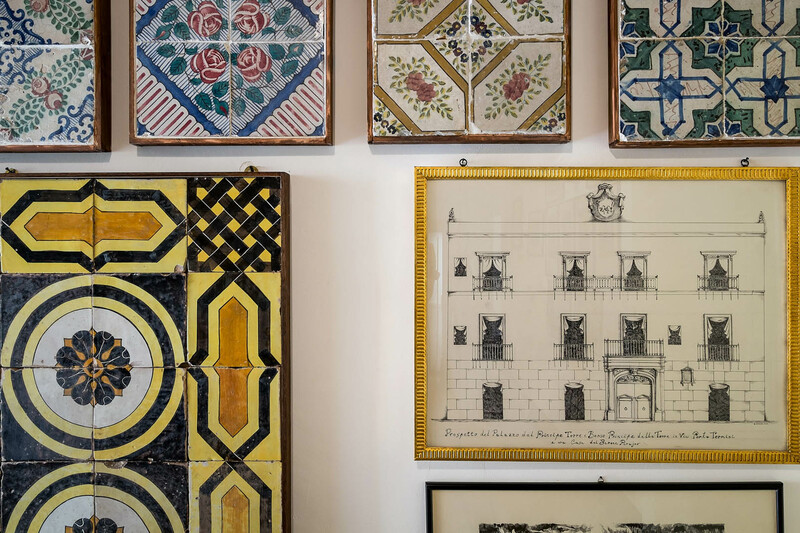 Every room is adorned with antique tiles, prints, paintings and vintage design objects that make Stanze al Genio a unique place, full of charm and with the comfort of a recently renovated room. 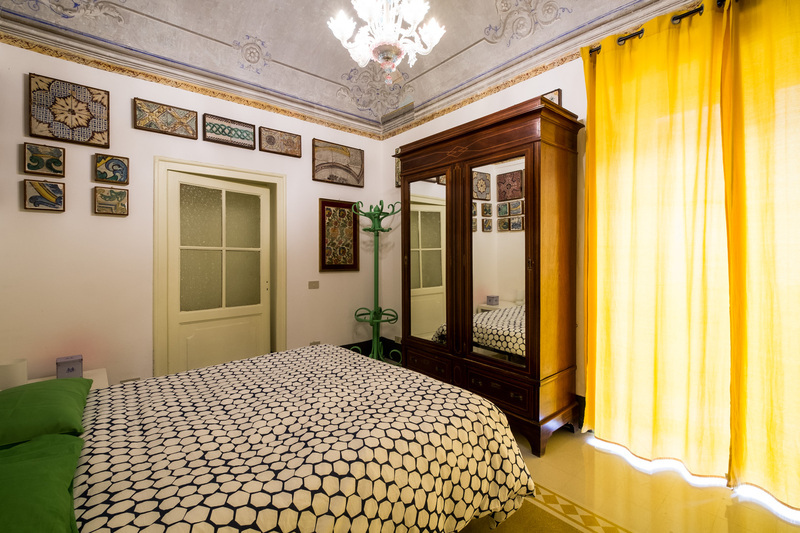 The Stanze al Genio features four bedrooms and several common areas for guests. The rooms are all air-conditioned and equipped with a TV and free wifi. 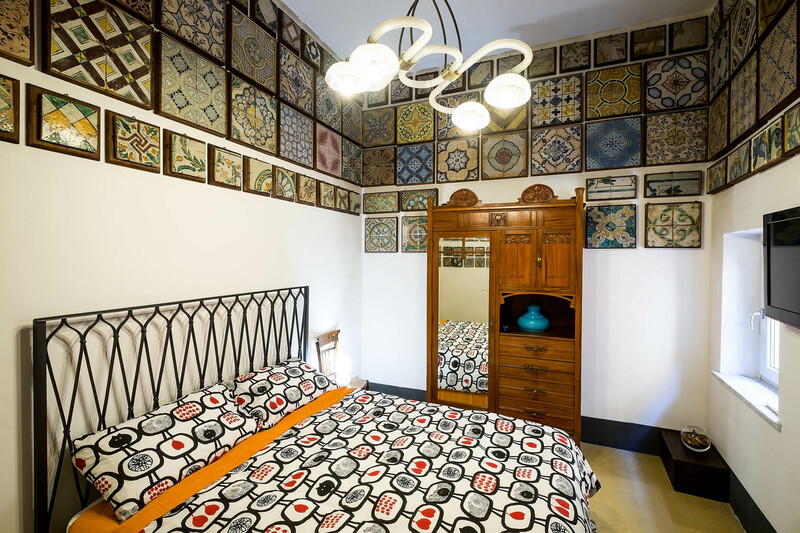 Each room is equipped with double glazing and is furnished in a different way; It has its own private bathroom and a balcony for exclusive use. 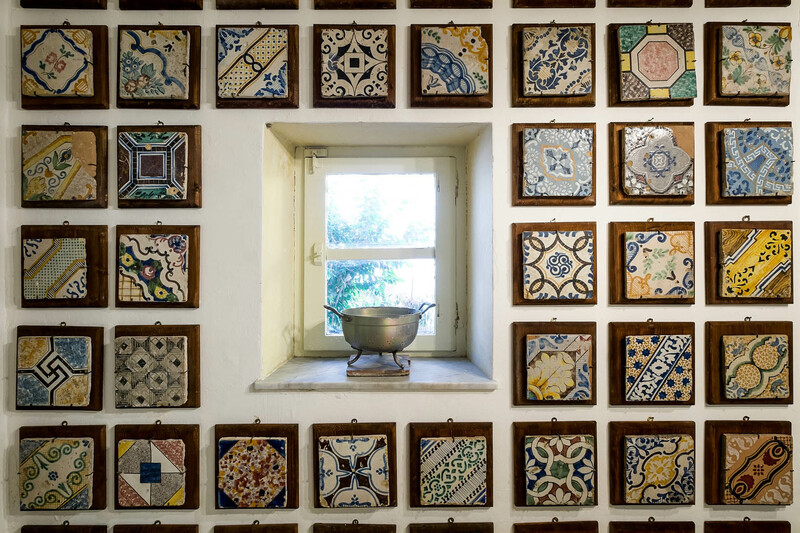 Guests can also enjoy a lovely terrace overlooking the inner courtyard of the building where some nice cats stay around. 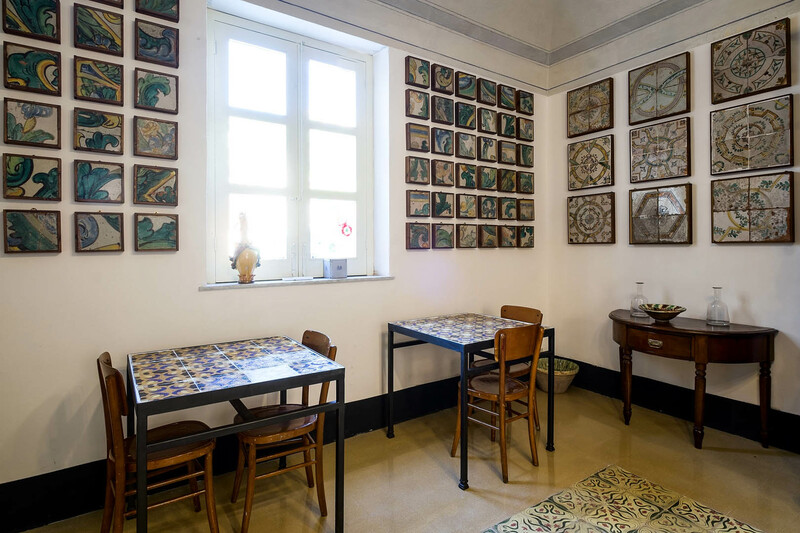 Breakfast is served in the “Sala Grande” that has an art nouveau tiled floor and an art nouveau decoration. 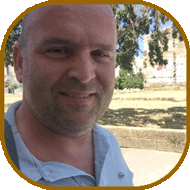 I am an eager collector of ceramics, inks and antique stationery items, vintage advertising prints. 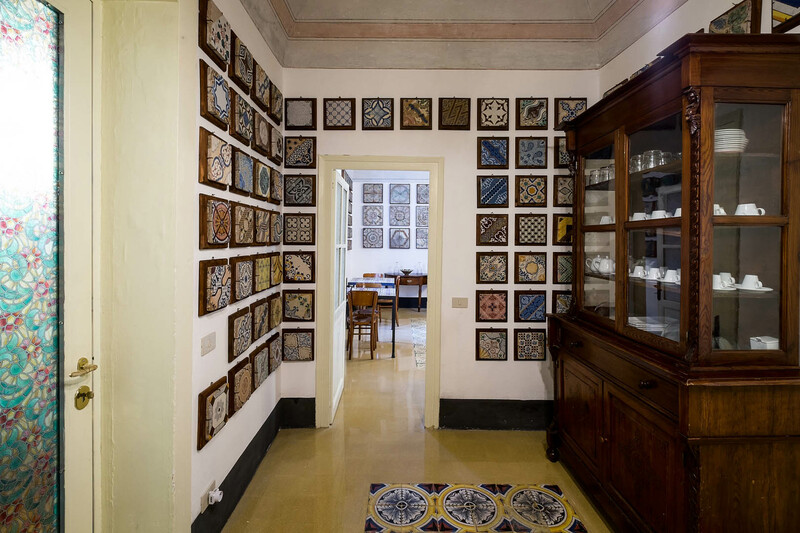 years prompted me to open my house-museum to visitors and create residences in b&b for art, beauty and Palermo lovers.